"I have found my dentist! I am so pleased with my experience at Galvan Dental Care"
"If you want a beautiful smile, this is the place to go, hands down!" "I couldn't ask for a better appointment experience. I'm sold on Galvan Dental." "Thank you Galvan Dental for all you have done to get my smile back after 30 years." "I like getting dental treatment at Dr. Galvan's practice. I get so comfortable." "Thank you to Dr. Galvan & his staff for making me feel welcomed & very comfortable." "Doctor Felipe is the best dentist I've had so far, I love how clean my teeth feel." "Excellent customer service and the staff is so knowledgeable!" "Dr. Felipe, Mr. Jessie, and Ms. Jenna and staff thank you so much." "I am so thankful for Dr. Felipe and his staff!!" Contact us today, limited space available!! Galvan Dental Care has been providing quality general dentistry care and cosmetic dentistry to the Danville and Vallejo, California areas since 2006. Galvan Dental Care specializes in Invisalign, root canals, crowns, dentures, extractions, fillings, cleanings, and bridges. Besides their dental services, however, the Galvan team believes that being a part of a community means being of service to its people. Galvan Dental Care strives to provide the best service to patients by providing excellent dental care, imparting relevant patient education, and employing an able team of caring staff that works with patients to give them their best possible natural smiles. Patients can expect to receive advice that helps them make an informed decision about their dental treatment options. From the moment you book an appointment, the Galvan Dental Care team wants to understand your needs and works to meet them. The office values your time and will work to accommodate busy schedules for working professionals, students, and parents. All insurances accepted at Vallejo and Danville offices are PPO insurances. If you have any questions about your insurance coverage, please contact the office location you are planning to visit. We look forward to working with you! "The level of service, care and attention to detail that Dr. Galvan utilizes is very much appreciated." "Dr. Galvan has been great about helping me with my dental needs. I definitely recommend visiting him for a pleasant experience." "The staff at Galvan Dental Care is amazing. I highly, highly recommend this practice and looking forward for next dental cleaning!" "I can say without a doubt that Galvan Dental Care is by far the most compassionate, professional, and understanding dental group I've ever been to." 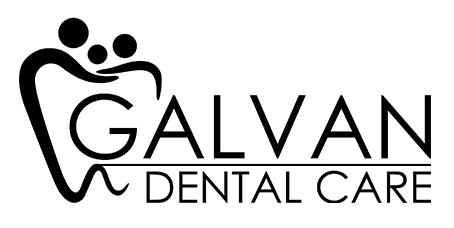 "If you are looking for a dentist that is not rough on your mouth and actually cares about the quality of your teeth then choose Galvan Dental Care." "I love this office! The office staff worked around my situation to squeeze me in and were super nice about it." "Love, love, love Dr. Galvan and all the staff here. Dr. Galvan is very friendly and knowledgable. He got me my first night guard which has helped a lot!" "My first time at this dentist....and they made it so easy! Dr. Galvan is a five star dentist and I love how friendly the staff are!!!!" "Amazing dentistry. Very caring, helpful, and educational. They always explain everything so my kids understand how to properly care for their teeth." "At Galvan's dental care service is great. Customer service is comfortable and the pain is at a minimum. "